A radiation-detecting U.S. Air Force aircraft was intercepted by two Chinese Su-30 fighter jets over the East China Sea Wednesday. Details over the exact cause of the intercept are unclear, but such incidents take place when a sovereign nation believes an unauthorized aircraft is in danger of breaching its air space. According to CNN, crew on the U.S. Air Force WC-135 said the move was “unprofessional”, and the incident is being addressed with China through military and diplomatic channels. The Su-30s came within 150 feet of the U.S. plane, with one of them flying inverted—or upside down. This is the second time this year a U.S. aircraft had a close encounter with a Chinese plane. In February, a Chinese surveillance aircraft “crossed the nose” of a U.S. Navy P-3 Orion aircraft over the South China Sea; the Pentagon said at the time the encounter appeared to be an accident. 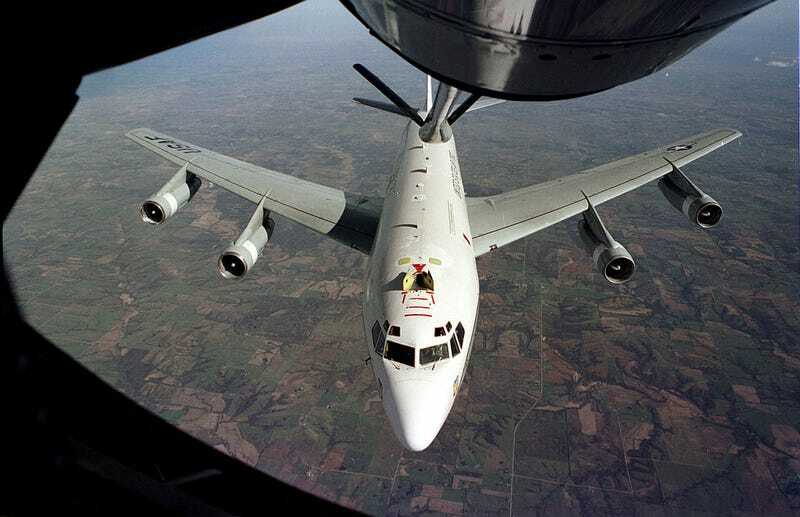 The WC-135 Constant Phoenix, also known as “the sniffer,” is designed to collect samples from the atmosphere to detect and identify nuclear activity. Most recently it has been deployed to northeast Asia to gather evidence of nuclear testing from North Korea. Such close encounters between U.S. and Chinese aircraft should not be surprising, given that the U.S. has been critical of Beijing’s expansionist activities in the South China Sea and else where. As Foxtrot Alpha has previously reported, China has been building artificial islands in the region, much to the frustration of its neighbors. The East China Sea is also a contentious body of water. Chinese Coast Guard ships entered waters near the Japanese-controlled Senkaku Islands in February. Alternatively, North Korea, a patron of Beijing, is building mysterious islands in the Yellow Sea, which could arguably justify why the U.S. would want to keep tabs on the area. Consequently, of course, that puts American aircraft within potentially dangerous proximity with Chinese planes. Indeed, the Wednesday encounter between U.S. and Chinese aircraft may have been an isolated incident, but it is part of a wider conflict over nautical sovereignty and devolving Washington-Pyongyang relations that will not end any time soon.